The Quality Inn South at the Falls is conveniently located less than five miles from major attractions like Parrot Jungle, Fairchild Tropical Garden, the world-famous Coral Castle and the Miami Metro Zoo. This Miami hotel is close to area beaches, including Matheson Hammock Park Marina and Beach and South Beach. The hotel is only a short distance from two unique national parks, the Everglades National Park and Biscayne National Park. 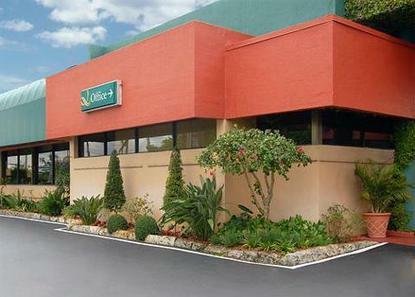 The Miami International Airport and Tamiami Airport are close to the hotel. Guests will enjoy the many specialty shops of The Falls, including Macy's and Bloomingdale's. There are several restaurants and theaters in the area. Pet accommodation: 10.00/night (limit: 3 pets/room, 30 lbs and under.